There are lot of ways to solve infertility but to create an IVF child and then to abandon the child is NOT a solution to fertility issues. If it’s a crime to abandon a child, if its a crime to commit foeticide or infanticide, why is it NOT a crime against the IVF child to be abandoned? If a father is made to pay child support for a child even if he did not want the pregnancy, similarly, if an IVF child is conceived with consent of both parents then where is the responsibility and accountability towards the IVF child when an IVF parent abandons an unwanted IVF pregnancy? IVF parents do not have the luxury of instant gratification but have to wait years and multiple failed attempts before being blessed with a child and then only to have that child abandoned? Or do IVF children have less rights than others and its OK to discriminate because of their birth type? Are we that barbaric? Every child is equal and deserves the basic human dignity and respect. Regardless of whether you are an IVF parent or not, as any parent, what would you do to this level of indifference and discrimination towards your child and somehow your child is “LESS”? Where is the sensitivity for IVF children and are they a “commodity? Intended parents who commission IVF pregnancy but later abandon “it” are a threat to the welfare of the abandoned IVF child as an IVFphile. When the IVF child is placed in legal limbo, is that a crime against humanity from the innocent child’s perspective? Is the only way to have a child is to abandon another child? Is the abandoned child an equal human and have equal rights? Why should IVF parents be forced to discriminate against their own IVF children? Isn’t it better to instead have equal laws and protection for all children? If there are stringent international adoption laws in the best interest of the child, how come no similar international laws for IVF/surrogacy children? Are IVF children LESS of a child? When an IVF parent asks for rights of their IVF children – people, legal system, law enforcement authorities and other people in power often CONFUSE the messenger (IVF parent) as the one who is asking for rights. There are rights of an adult and then there are SEPARATE rights of a child, specifically an IVF child. Most “laws” are written based on “genetic link” and “gender” of parent which is that of “female”. So if a male has an IVF child with help of compassionate women like egg donor and surrogate, the IVF parent, the male has NO rights. And therefore, the IVF child has NO rights because a “legal mother” does not have a “genetic link”. 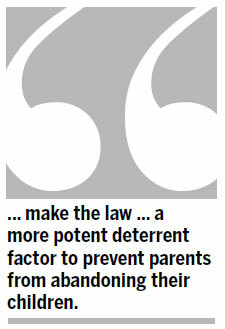 Is the child a victim or have the laws not caught up? And if this is too soon for our times, how does that make it OK to punish an innocent child for that? Like every other wall, like the Berlin wall, walls are broken down with the power of truth. Creating walls between siblings is not the right answer. Solving one’s fertility problems by splitting IVF siblings – fruits of the very fertility treatment is not the answer. With time, every wall will be broken including secrecy, lies and breaking laws. What will be the answer for the innocent children for the abuse, separation and denial of their rights? Historically, the fertility wars have centered around the struggle of infertile parents. Stereotypically, infertility used to be only a “woman” issue and still is in most places even though 30% of men have fertility issues. But let us blow science and facts away. In very rare circumstances, we see a trace number of stories on the struggle of a gay couple to have a child or a single father to have a child or a single father raising children and so on. There are probably more cases than reported. These stereotypes are hurting innocent children. Most parents are fertile and don’t have to wait for years and live through multiple failed IVF attempts before being blessed with an IVF child and then only to have that IVF child abandoned. The bigger point is what about the IVF child – the fruits of fertility treatment? Does it matter to the IVF child whether they are born to a infertile “woman” or “man” or “couple” or “gay” or “lesbian” or “straight” parents or does the love suffice? What is the point in the fertility war to be extended by denying the rights of an IVF child? What is the point in the fertility war being extended by placing innocent IVF children in legal limbo? It is not offensive to talk about infertility and IVF. It is not offensive to talk about the lack of laws for IVF children and families. It is not offensive to talk about the domino effects of years of secrecy, lying and breaking the laws. What is offensive is your child being punished for crimes they did not commit. What is offensive is the ongoing discrimination based on birth type and somehow its OK? If it is illegal to discriminate based on birth, race, religion, sexual orientation, gender, then why is it OK to discriminate based on birth type? For natural born children, we don’t go around naming the “sexual positions” on how a child was conceived, then why do we need to make an explicit mention of the “conception method” for a child born out of fertility treatment? We are years if not decades far away to grasp the issues of IVF children and families. Until then, do we continue to victimize innocent IVF children? If you have not lived the deeds of the fertility war with its lack of laws then you do not know the needs of the infertile or dysfertile families.